When you see a man in a pair of shiny, sharp white boots, what’s the first thing that comes to mind? I know for me it’s the song ‘Stayin’ Alive’. But the great thing about a pair of nice white boots is that they can fit with just about any costume from any era and still make a great impression. 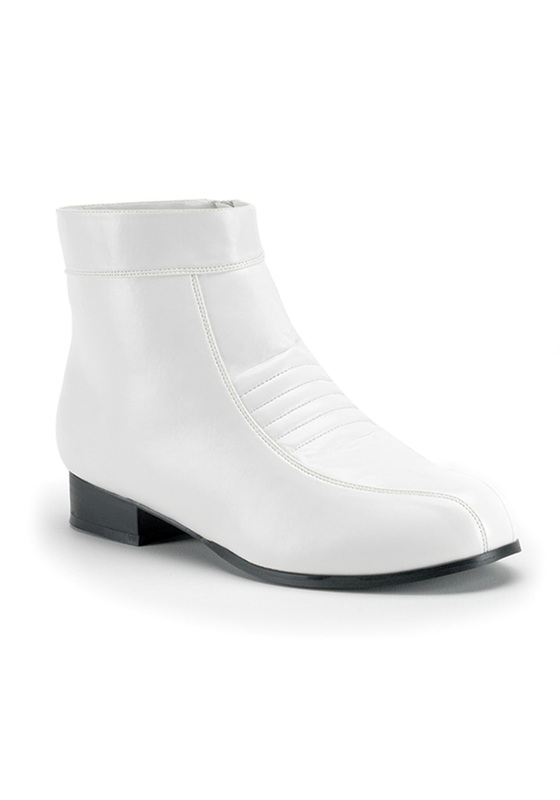 Whether you want to add the finishing touch to your Stormtrooper costume or dress up your retro disco look, these white men’s boots are a great choice. They slip on easily, secure with a sturdy zipper and add polish to any costume. Made from a shiny vinyl, they are sure to catch the attention of everyone you meet this Halloween and they are even comfortable enough to wear for other occasions such as theme parties and plays. Don’t leave your costume unfinished – add these white shoes to the ensemble to complete the look this Halloween!